A warm and insightful narrator for the wide diversity of your eLearning projects. Cameron’s voice has been heard in national and local markets, international branded campaigns, and as the voice for emerging ideas, apps, organizations, inventions, and universities. This continued relevance comes from both a universal sound as well as a commitment to sensing the needs of a project and committing to it fully. Client satisfaction is the number one priority. 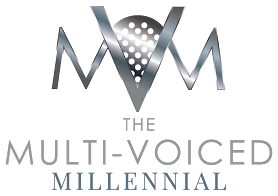 Read reviews and discover other eLearning Industry community members's experience with The Multi-Voiced-Millennial.